Alrighty – first off, long time no talk! Now that that’s out of the way – I want to talk to you about the current government shut-down. Obviously, this might be long over by the time you read this, but all the same – I don’t want to discuss blame or cause or reason… except for the reason of science, which is pretty reasonable. Anyhow, what I want to talk about is doing a science this week – in support of those federal employees who are legally and contractually prohibited from doing or talking about the science they love to do. That’s right – during a federal government shut-down, some employees are not even allowed to give talks, lectures, or tend to their experiments. Government labs are shut down – biological research is halted, (and in some cases ruined!) and other education, outreach, and information services are suspended. In short, it’s a terrible week for science! So here’s what I’d like. This week, and until the shut-down is over – I would like you to take a picture of yourself doing a science. ANY SCIENCE (keep it safe for work and school though, nerds) Take a picture of your science and post it on Twitter with the hashtag, #shutdownscienceclub. @SarcasticRover will be retweeting the best ones I see (though bear in mind, I won’t see them all) – and you should keep your eyes out for amazing sciences with the hashtag as well. I really want everyone to know that just because funding stops, that doesn’t mean science stops – it doesn’t mean curiosity or investigation or reason or experimental fun stops. And I want those who don’t get to have their science know that we stand with them. So go! 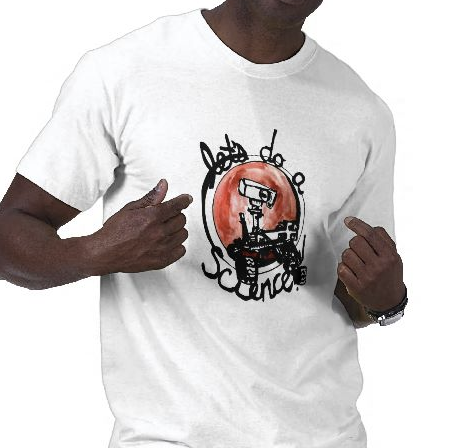 DO A SCIENCE! 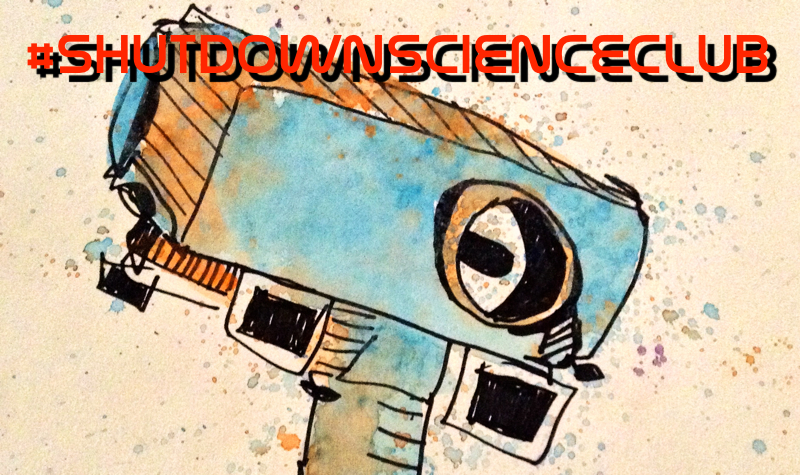 It’s #SHUTDOWNSCIENCECLUB! Top Novelty Twitter Accounts of 2012! I know this is waaaaay late into 2013, but I only just got sent this link to the website “Know Your Meme” and their list of the top novelty Twitter accounts of 2012 – where @SarcasticRover placed #2! Not too shabsy. @SarcasticRover Wins Shorty Award for “Best #NonHuman”! Thanks for the Shorty Award! I just want to pop up here in human form and thank those that nominated and decided to give me an award. I realize that there shouldn’t really even be an award for posting jokes on the internet while pretending to be a space-robot, but seeing as there is – I’m rather humbled to have won it. In all truth, this award belongs far more to those who actually put the rover on Mars, and those who struggle everyday against increasingly long odds to keep expanding our knowledge of the universe and who foster our curiosity to explore it. So, thank you to everyone who follows and who writes and who occasionally appreciates and supports my dumb Twitter account. You’re all very, very kind and I really do think you’re awesome. Very nice article in the Ottawa Citizen – the daily newspaper from Ottawa, Canada… my nation’s capital. I hope all the politicians read it and now they want to be my friend / give me lots of socialist funding. The article quotes me – so I figured I would be well within my rights to write some kind of rebuttal… especially since I was feeling a little punchy anyhow. I know it’s been, basically FOREVER since I’ve written here, and I’m sorry – I could explain why, but it’s just boring work things in real life. The LA Times and Halloween! The Los Angeles Times website has a nice post up collecting some Halloween-themed tweets from yours truly. I assume since it’s from L.A. that I’ll be getting a call soon to star in a movie or something, so… seeya suckers!